Definition at line 1400 of file CCopasiXMLParser.h. Definition at line 1408 of file CCopasiXMLParser.h. Definition at line 2145 of file CCopasiXMLParser.cpp. Definition at line 2150 of file CCopasiXMLParser.cpp. 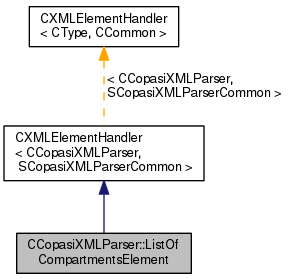 Definition at line 2197 of file CCopasiXMLParser.cpp. Definition at line 2155 of file CCopasiXMLParser.cpp. 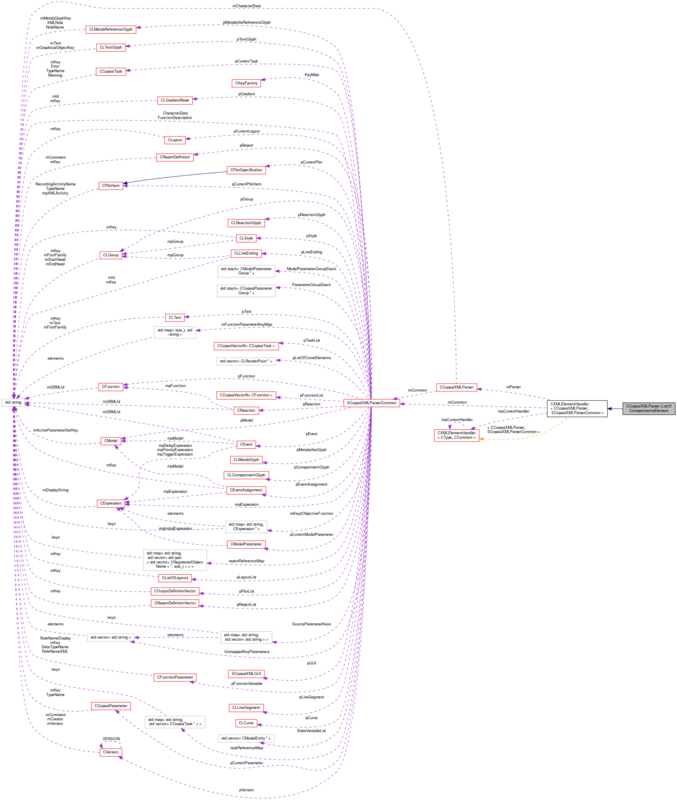 References CCopasiVector< T >::clear(), CCopasiMessage::EXCEPTION, CModel::getCompartments(), CCopasiXMLParser::mCommon, MCXML, CExpatTemplate< CExpat >::mParser, SCopasiXMLParserCommon::pModel, and UNKNOWN_ELEMENT.